Last year, J-rock band [ALEXANDROS] made their way to Malaysia to hold a show in the country for the first time. Thanks to the rocking response they got, the band is heading back to Malaysia again this July for their second concert! Tickets are priced at VIP RM438 / Zone A RM288 (pre-sale), RM308 (at door) / Zone B RM138 (pre-sale), RM158 (at door). All prices stated exclude ticket processing fee and other handling fees. Tickets will go on sale from 10am at www.ticketcharge.com.my (or call +603 9222 8811 (Kuala Lumpur)) this Friday, 19 April 2019. 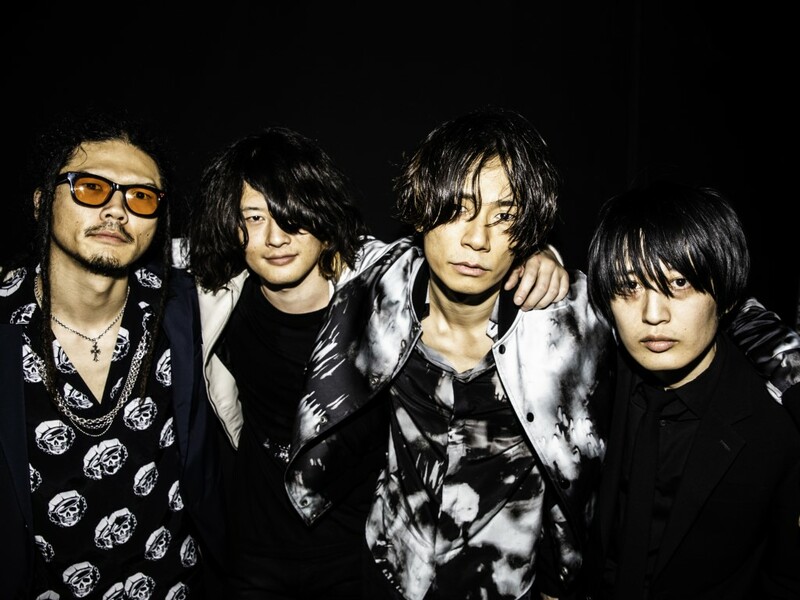 Ready for a ‘Sleepless’ Friday with [ALEXANDROS]? Comprised of Yoohei Kawakami (vocals, guitar), Hiroyuki Isobe (bass, backing vocals), Masaki Shirai (guitar) and Satoyasu Shomura (drums), [ALEXANDROS] has been in the J-rock scene for more than a decade now. The band also provide soundtracks to games and movies, such as “Bleach” and “Godzilla: King of the Monsters” – the latter’s OST “Pray” will drop next month. For those who are curious of their sound, check out the MV below. It’s for “Arpeggio”, released last November as the theme song for the suspense action game, “Judge Eyes”. 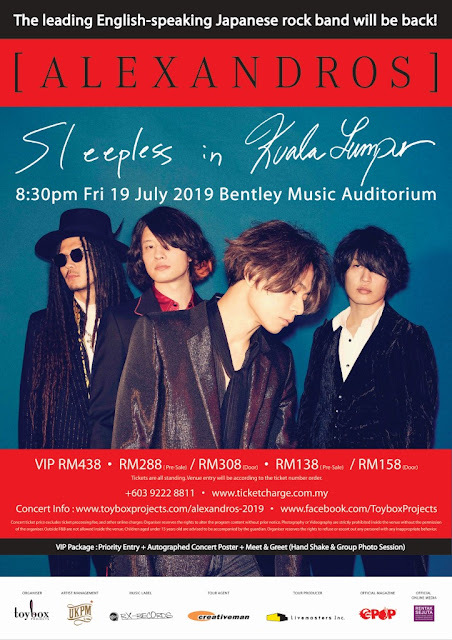 Aside from Malaysia, the band will also take their “Sleepless Tour in Asia” to Shanghai, Beijing, Hong Kong, Taipei, Seoul, Bangkok and Jakarta.